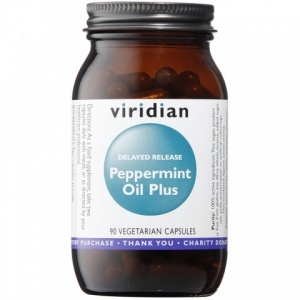 A unique combination of peppermint essential oil with ginger and caraway extracts. Featuring a delayed-release capsule to avoid digestion and deliver the ingredients where they are needed. The formula provides Peppermint leaf oil (Mentha x piperita) equivalent to 0.2ml of essential peppermint oil, Caraway seed extract (Carum carvi) equivalent to 640mg of caraway seed and Ginger root extract (Zingiber officinale equivalent to 350mg of ginger rhizome (root). Peppermint leaf oil (Mentha x piperita) 570mg, (equivalent to 0.2ml essential oil), Caraway seed extract (Carum carvi) 160mg, (equivalent to 640mg caraway seed), Ginger root extract (Zingiber officinale) 70mg, (equivalent to 350mg fresh ginger rhizome). As a food supplement, take two capsules daily with meals, or as directed by your healthcare professional. 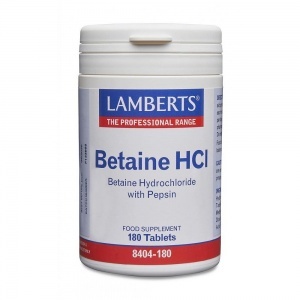 Lamberts Betaine HCl - health supplement that helps the body to digest protein & acidify the stomach and therefore helps effective digestion.